Pres. 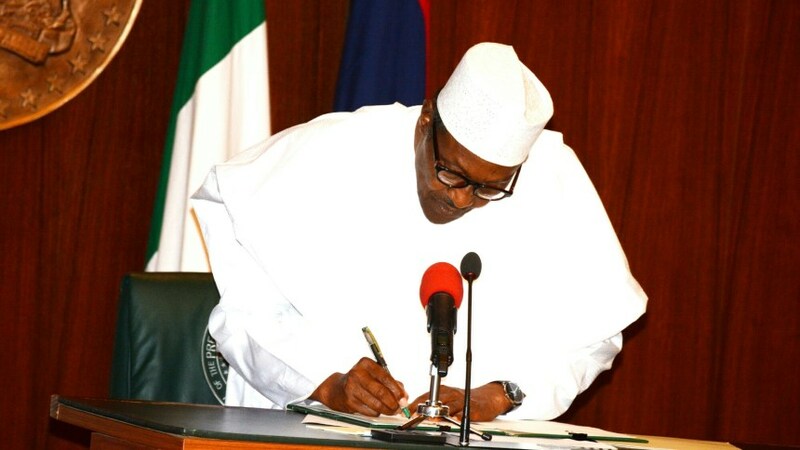 Buhari Signs Order For Construction Of 794km Of Roads - AutoReportNG "AutoReportNG-The No 1 Car Blog In Nigeria That You Can Trust - AutoReportNG"
According to Daily Trust Newspapers, President Muhammadu Buhari yesterday signed Executive Order 007 to close the road infrastructure gap in the transportation sector of the country through a Public Private Partnership (PPP) arrangement. Tagged order 007 on road infrastructure development and refurbishment investment tax credit scheme, the president signed it at the Presidential Villa, Abuja. In the first phase of the scheme, 19 road projects covering 794 kilometers in 11 states are going to be fixed by six private companies including Dangote Group of Companies. The benefitting states are Abia, Borno, Benue, Edo, Gombe, Kaduna, Kano, Kogi, Lagos, and Rivers. Signing the order, Buhari said through the scheme, companies that willing and able to spend their own funds on constructing roads to their factories or farms would recover their construction costs by paying reduced taxes over a period of time. “The impact is that it will make businesses run smoothly and also more profitable, it will reduce the cost of doing business because as we speak today, all of you know the deplorable condition of roads in Nigeria,” he said. Speaking for the governors, Nasir El- Rufai of Kaduna State described the order as innovative governance that would benefit all.